Players betting on UFC this August may have a hard time finding events to wager on. The UFC has taken a slight hiatus in August, withholding from hosting any PPV events, Fight Nights, or even UFC on Fox. However, UFC sportsbook fans can still wager on some thrilling in-cage fighting, all thanks to Dana White’s Tuesday Night Contender Series. 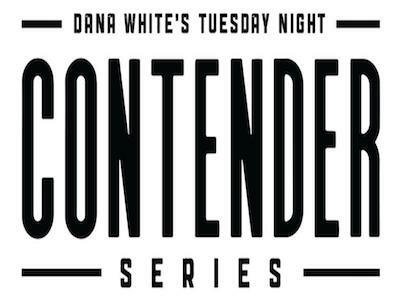 Dana White’s Tuesday Night Contender Series is a weekly show put together by Dana White in order to allow the UFC’s president to better scout talent for the promotion. Every Tuesday, White will hold a 5-fight event, with the most spectacular performer winning a UFC contract. The fights will pit some of the best up-and-comers against each other, or even against a veteran who is looking to make a comeback. It should be noted that none of the fighters displayed have a current UFC contract. Additionally, this is not the UFC brand and is licensed separately, although you wouldn’t really be able to tell at a glance. So far, UFC betting fans have been treated to some pretty enticing entertainment. This Tuesday’s rendition will mark the 5th episode of the series, and with every episode ending with a brand new contract: it’s helping build hype for the UFC. Another perk that the UFC, or Dana White, has added to this series is the addition of alternative broadcasting. Alternative broadcasting is the latest thing in the world of sports entertainment. Some UFC betting players may be familiar with the concept, as the NBA has been offering something similar, allowing fans to hear a broadcast that is geared towards their favorite team. The UFC has something in mind, albeit it’s tilted more towards a humor angle. Apart from normal UFC commentators, fans have the ability to hear alternate commentary provided by rapper Snoop Dogg and UFC Hall of Famer Urijah Faber. So far, Snoop Dogg’s commentary has gotten mixed reviews, but it is something different that adds an additional flavor to the series. This week’s episode will be headlined by a light heavyweight match between Jamelle Jones and Mike Rodriguez. Jones enters this bout with a 7-4 MMA record looking to win a contract with the biggest MMA promotion on the planet. Rodriguez will be looking to the same this evening by scoring an eye-popping knockout over his opponent. Rodriguez is 8-1 professionally.